As we see an increased need in security for the private customer, here out team would like to recommend watching this home security video by the west midlands police. 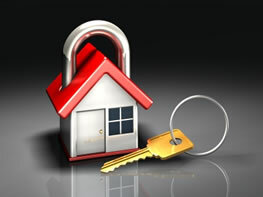 It brings up many little tips which are useful to keep in mind when wanting to improve on your own home security. If you would like to get an individual security survey done for your specific property, please feel free to get in touch with us. We can book one in for your at a time which is convenient to you, and our experts can make sure that you have all your risk areas covered. One of the things that we see here as a key factor in being able to provide the best type of individual security solution is that of keeping flexible. We know that each security situation has its own ideal solution, and in our security surveys we can identify some of the best ways, methods and products to keep your security at the highest possible level. 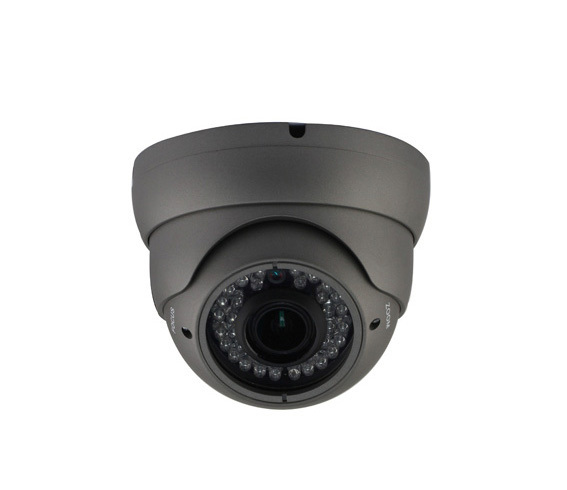 With a broad range of current security products in stock and with competitive pricing on our services we are able to help improve on your security within the limit of your budget, regardless if you are a business or a private customer. We always listen to you as the customer, and tailor our suggestions and solutions to fit your specific requirements and needs. By this we mean both in practicality as well as in providing the best and most cost effective security solutions applicable to you. Should you have any concerns or questions on the subject of your own home or business security, please feel free to get in touch today, we can help make sure that your security is up to scratch and risk is kept low. On top of that with our flexible approach, we are happy to book meetings, perform security surveys and installations at a time which is suiting to your schedule. Of course we understand that time is precious, and as we respect the time of our customers we always aim to perform our services in a timely and professional manner to the highest level of industry standards. 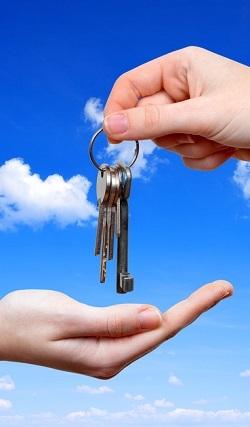 Today key cutting is not exactly what it was a hundred years ago, today we have many things which help us with the advanced technology used in the industry. The thing that we recognise however is that the precision and skill needed are traits which remain. Some may say that it’s easy and the machine these days will do all the work, this however is not true, and the reason we say it requires a high level of skill. Is simply that there is a very big difference, and you want to make sure that you get a key works first time, and with a smooth turn. The little adjustments in cleaning, and sanding edges is what makes it. And only someone of the highest professional skill will be able to do this right every time. Another aspect which we see as commonly forgotten in this type of comparison with traders of the past century, is of course the complexity of the locks made. Many brands and products offers keys which are 100% original, and no other key currently in the world will be able to open that particular lock. Now that is something that we see as important here. The locks of the past were more of a dead bolt type, and the keys required to turn it were not as complex, and therefore it would render them very unsafe to use today. What you will regularly find, is different type of cutting machines. 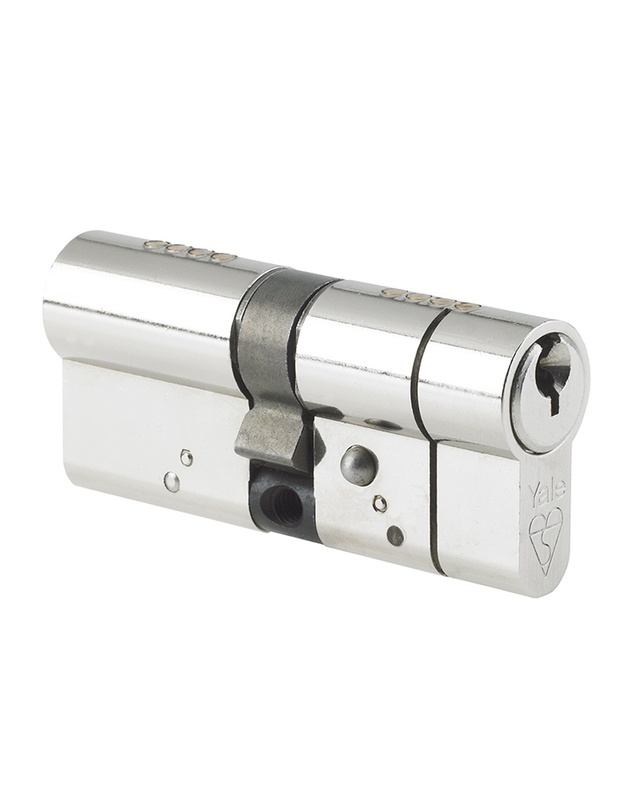 And in all cases the trained eyes of a locksmith is needed for the fine adjustment as to provide the best and smoothest lock opening experience. On the market currently there are also a type of laser cutter, which just means that it’s cut via laser rather than the standard blade which it used to be cut by. For cutting keys which are not of a standard type, say for instance keys which are tubular in shape, at times there is a specific machine or tool required, the same goes for keys which also need to be coded with electronic information and security. We can cut any type of regular key swiftly and directly when you are present in the shop or whilst you take a walk around town, and you’ll have your fresh new key in your hand straight away. However we can also cut the majority of custom keys, so should you be in need of a spare key for your custom made or electronic lock. Please do also get in touch, many of the times all that is required out of the ordinary is to get some specialised spare parts in. Should you have any questions about keys, key cutting, locks or anything related, or if you are in need of getting a key cut. Please do feel free to get in touch with us today. The locksmith team are always ready to be your service. Today we would like to give you some advice in how you can get a different perspective to your own home security. 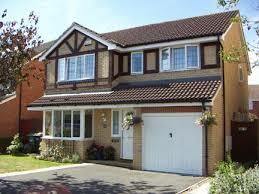 With more high value items which are desirable for potential thieves, risk for the average home owner goes up. Burglars are becoming more and more crafty in their ways, however there is no need for panic. With only a couple of things like good lighting, good locks and so forth, we know that risk of attack is greatly reduced. So what we suggest from the blog today, is to take a walk around your home with only the simple task of keeping your own security in mind. It can also be very useful perhaps placing yourself in the shoes of a burglar as well, and have a think about how you would go about breaking in to your own, and subsequently have a think about what can stop the risks you see. Someone in London who is an expert in his field can perform professional security surveys and can help make sure that your home security is as solid as it needs to be, but it’s always a good thing to be prepared. We know that not all risks are easy to think of a good affordable solution for some risks are even very difficult to spot. But if you find yourself identifying any risk which you are unsure of how to deal with, or should you wish to get a security check done by a trained professional, please feel free to get in touch with us. The colder season is incoming, and with the winter comes a couple of specific security threats which might be good to keep in mind as the time of the year gets darker and darker every day now. Swift Locksmiths would like to place emphasis on a couple of things. 1. Outdoor lighting If you’ve not installed any lights for the outside areas of your home that may need it, we think that now is the time. With the night time becoming longer, and the darkness becoming thicker, a couple of motion detector lights outdoors will be great security help for you, and perhaps it will also be of use in a more practical way, saving you having to fumble around for your keys in the dark. 2. Holiday season reminders Since in this season often we go away to visit family and friends, we recommend just making sure that you have taken good security measures before you go away. Perhaps getting a couple of timers for your home, giving indication to that there is someone in the house. Here at swift locksmiths we also recommend speaking to your neighbours should you go away simply making them aware, so they are on their toes should they see any unusual activities close to your home. And should we be blessed with snow this winter, we also recommends asking someone you know on your street to disturb it should you not be at home. Just walking a couple of times up and down the walkway will also indicate that someone is at home, rather than the opposite. We see that this can be a way of advertising that there is no one in the house, having virgin snow untouched all around your house shows quite clearly that it’s not occupied. So from expert who knows in London we wish you a warm, cosy and great winter season, and if you have any questions or anything that you are wondering with regards to your home security, feel free to get in touch. It’s also a great idea to join your local neighbourhood watch scheme. We would like to send out a reminder of the weakness in the standard cylinder locks making them venerable to easy bypass. We would like to inform you on a technique known as lock snapping. A technique which many homes in the UK at the moment are vulnerable to, in this technique you also don’t need any type of expensive or specialist tools which is the main reason to it becoming such a commonly used way to break in to someone’s home. 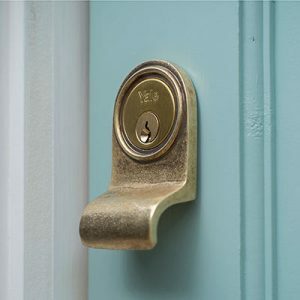 So the locksmith experts and specialists here would like to send out our highest recommendation to make sure you are up to date, as the lock snapping technique is used in around a third of all burglaries in the UK. 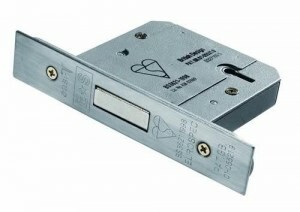 The way it works I by exploiting a week point in the standard cylinder lock, meaning that it can take as little as 15 seconds for someone who has perfected the technique to gain access. We also see this as a relatively quiet method of performing a break in. The issue with the standard has been known to the security industry for quite some time, yet there seem to be relatively low awareness amongst the community and the public. This is the reason why we would like to make an effort to raise that awareness. The fact is that many British homes today stand vulnerable to this type of attack thinking they are behind a secure lock. The issue was announced in media back in 2006, when a locksmith reported the weakness to the media, but time passes quickly and since we’ve seen little improvement on this front, have not seen anything with regards to prompting people for better security in a while. Should you have any security related questions at all feel free to get in touch with us here at locksmith, and keep tuned in for more updates on home security. 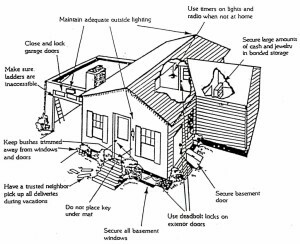 There are a number of things which one can do at home to improve the security, and reduce the risk of being a victim of a burglar or home intrusion of any sort. Make sure that the standards to keeping safe door locks are up to that of the British standards which is coded 3621:2007 + A2:2012. At the locksmiths we also know that the same type of lock standard is common for many home insurance and content insurance companies. So for us, in order to keep your belongings safe, keep to the national security standards as well as that of the standards of the majority of insurance policies, make sure you are up to date. This is of course something we can help you with should you need. The next thing which you can do from the inside is make sure expensive equipment is hidden from view, we see no need to advertise the belongings you have. 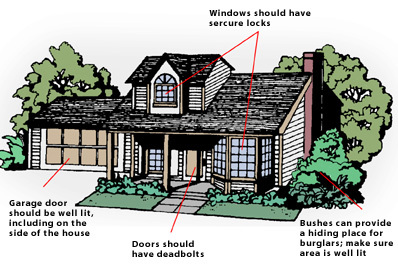 It’s true that often people remind you to lock your doors and windows before you leave the house, we would also like to remind you to make sure the case is the same before going to bed, and extend it further to the point of, if you are in the garden, make sure all the entrance points at the front of the house are closed and locked. The last thing we would like to promote as a good habit is to not leave any keys in the locks, and to keep your keys hidden from sight and out of view from any window. Should you have any questions at all about your own security, get in touch with our friendly guys and let us help you with your question. If you are the owner or the employee appointed to make sure your office, workshop or business premises is safe and secure, there are a few things that we would like to advice you about. With smaller businesses increasingly being the target of intrusion, vandalism and other type of crime we here see the importance of having the area covered. There are essentially two main ways to provide security for a business, one is though technology and the other is though having trained security personnel stand guard of the building. Now for small businesses the later is not always the best idea as it comes at a relatively high cost, and often we see that some sort of alarm and monitoring system is enough to keep risk down. There are a few different type of alarms from which you can choose, and our experienced staff can help you find what is best, and right for just your business. With a monitored alarm system, if triggered someone will be notified, and often this type of service means that the police will also be contacted. The unmonitored version simply means that when triggered the alarm will sound, and with this type of alarm there are a few different versions. Some will come with the options of having floodlights activated hopefully scaring off the intruders before damage can be caused. We also offer wireless alarm systems, which operates with the options of cameras, flashing lights, sensors, motion detectors etc. This is what we would typically offer to a small business, as it doesn’t come with an outside monitoring cost, and is highly effective. There are more advanced technology alarms, such as motion detectors for outside, which will only trigger once suspicious activity is taken outside, however also at a higher cost, and this type of system is not something that we would commonly recommend for small businesses. The most important thing is that you choose what is right for your business and your property, so give us a call and speak to us about your small business security. If you are buying a new home, or maybe if you are planning to redo your garden, there are a few little tips and things to keep in mind which the lock experts here would like to bring your attention to. 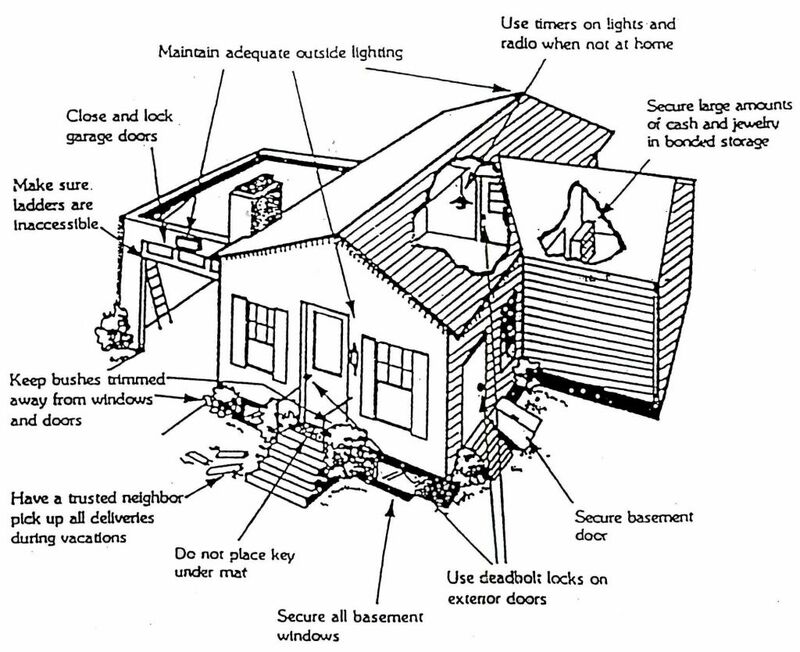 Here we see that it’s more common for a home to become victim of an intrusion should their garden plants and bushes provide good cover for the intruder. With this in mind, the lads here recommend giving a little thought to the security aspect of it all. So when choosing plants to go underneath your windows and in front of your home, make sure that it’s a mixture of dense and thinner type plants, as to avoid creating a walk way hidden from view. With that in mind we are brought to the subject of the walk ways around the house. They are often without windows from the building, and at times quite narrow and dark. This is where we would recommend, placing some motion sensor outdoors light. We know that this type of light is highly deterring for potential burglars, and if on top of that there is some view from the street to the door, it will also give that feeling of exposure we are trying to create. If you are placing a fence around your garden, then we could help with recommendations based on the surrounding areas. In some cases it’s actually a benefit if one has a vague view of the inside of the garden, although this is of course also a question of privacy and creating a good feeling in the space, it can be good not to shield any potential intruders from the view of the public as well. 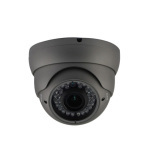 And should you wish to have a security inspection performed by a professional expert, just get in touch with us today. If you are a small business currently on the market to buy or rent an office, studio or work shop space, we understand that you need to keep your investments safe. If a business you may have a need for a safe to keep takings in, which of course is something that the expert London can help you with, and if you are someone who works with expensive tools and equipment like we are there is also ample reason to make sure the space selected is chosen with security in mind. So when looking at a new property, or a property to rent, we would advise you to search for an office which has windows towards a street view. This is due to the fact that many of those who target industrial and commercial areas in their criminal activity look for offices and such hidden from view, and they do not want to attract attention. Of course you we understand that you have to choose a space which is suiting to your business and your budget, however in your decision for a more hidden property, you should also budget with having adequate security measures taken such as audio alarms. We would also recommend to get a monitored security service from a business which provides direct response to any suspicious activity. When you’re ready to move in, please feel free to get in touch with us and book in a security inspection. We can help you find the best way to protect your work space and your investment, and you will get tips on how you can improve your security in cheap ways with lights and methods that acts to deter potential intruders. To keep your family at home safe, to keep your belongings secure or to keep your business investment without risk, our locksmith recommends booking in an appointment for a security survey. Of course with our customer care and flexible approach with the highest respect for your time, we here at your reliable locksmith are happy to arrange for this at a time convenient and suiting to your schedule. This includes evenings and weekends should you struggle to find a spare moment in during normal working hours. All you need to do is give us in London a call! What will happen is that one of our friendly and experienced independent locksmiths can visit your home or your place of business, as we are experts both in security solutions for private customers as well as providing practical security solutions for offices and business premises. A survey of the indoors areas with points of entry, the outdoors area as well as the wider area will be performed. In this locksmith London can help with identifying potential security risks, provide you with easy pretension tips and deterring methods, and advice you in what may be in need of improvement or upgrading. All of our boys at your local locksmith are experienced in the profession, and will give their best advice, based on experience, industry knowledge and practicality. So get in touch with us today and book your security survey today, all our practices are in line with common insurance policies, and you will be guaranteed our most honest and best advice!